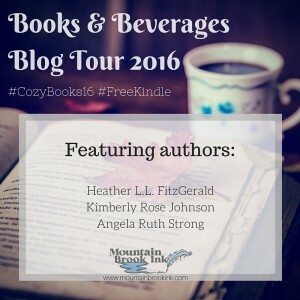 Welcome to the Books & Beverages Blog Tour hosted by Mountain Brook Ink publishing! We’re so excited that you are joining us for the next two weeks of fun. We look forward to introducing you to some new authors — maybe you’ll even find a new favorite! The tour begins at Annie Douglass Lima’s blog on February 15, 2016 and goes through March 1, 2016, ending with Anna Weaver Hurrts. Please check below for the complete schedule of the tour. Kimberly Rose Johnson holds a degree in Behavioral Science from Northwest University. She lives in the Pacific Northwest with her husband and their yellow lab. 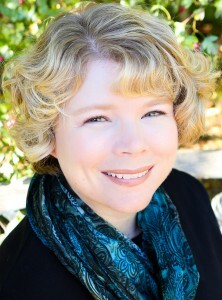 She writes sweet Christian romance and is a member of American Christian Fiction Writers. She enjoys taking long walks with her husband and dog, reading, dark chocolate and time with friends. The role of women in society has changed greatly in my lifetime, and I’m not that old. ☺ I grew up in a world where many if not most women stayed home to raise the children and take care of their family. Clearly that is not the way things are anymore. However, women do still stay home with their children, I was one of those women. I found a way to work from home and be a stay-at-home mom by teaching piano lessons. Hope is in her early thirties, single and doesn’t feel badly about that. However, she is open to love should it come her way. I thought it would be fun to interview Hope to get a feel for who she really is. Kimberly: I’ve told the readers a little about you, Hope, but maybe you could share something that would surprise people to know about you. Hope: This isn’t something I normally share with people, but for you, Kimberly, I will. I was once a very sought after metal sculptor. Is that what you had in mind? Kimberly: I didn’t expect you to reveal that! I know how you are about maintaining your anonymity. But since you brought it up, what happened? Hope: That is kind of personal. I don’t really care to share. Kimberly: I understand. Some things need to remain private. Hope: Thanks. I see you told everyone that I’m an electrician. But you didn’t tell them how I came to be on Wildflower Island. Kimberly: Good point. Would you like to tell them or shall I? Hope: It’s not a big deal. My college roommate is Piper Grayson. A wing in Piper’s resort hotel caught fire, so she hired my company to re-wire everything as well as do the electrical work for the cabins that she is having built. It’s a pretty ambitious job and I’m thrilled to have won the contract. The best part is that I am being housed at the Wildflower Bed-and-Breakfast. Piper sure knows how to make a person feel appreciated. She has even arranged to have all my meals prepared by Zoe Jackson. What a treat! Kimberly: LOL Yes, Zoe has quite the reputation for her cooking skills. To wrap things up is there anything else you’d like to tell the readers? Hope: Not that I can think of. Oh, I have a question for the readers. I’m considering taking a vacation. Where do you recommend I go? Great post today! I also work at home some time and it does open up opportunities to take care of things. Sounds like some strong characters in your book. Thanks for sharing! Thanks for stopping by, Annie. 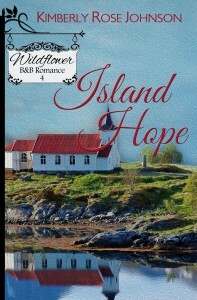 Kimberly, I have enjoyed your Wildflower B&B Romance series. I will miss my occasional visits to Wildflower Island. Hope, as for vacation spots, I have nothing. We rarely take a vacation other than to visit relatives. If I were going to recommend somewhere though, it would be a trip to a cabin in the mountains. Peaceful, surrounded by nature, and away from the business of everyday life. Hope, as for vacation spots, I have nothing. We rarely take a vacation other than to visit relatives. If I were going to recommend somewhere though, it would be a trip to a cabin in the mountains. Peaceful, surrounded by nature, and away from the busyness of everyday life. Sedona, Arizona is one of my favorite vacations. There is so much to do there and it is beautiful. Kimberly, great interview with Hope. I really enjoyed your Wildflower B & B series. Hope, as to a vacation place, a cabin in Pigeon Forge TN is a lovely place or the Outer Banks. Wow, there are so many places I’ve never heard of, much less been. Thanks, Tina. Kimberly, I’m also a stay at home mom. It’s a full time job. I also have a degree in Library Science, but I chose become a stay at home mom. Like you I admire both, the stay at home moms and those women in the corporate world. Your book sound interesting, independent and single, which is reality to many women. I’d enjoy reading your books! Thanks for the giveaway, certainly a few of my favorite things! 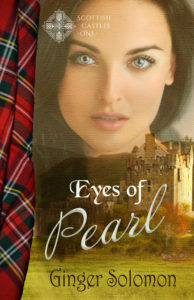 Hey, Deanna S. If you have Kindle Unlimited you can read my books for free. 🙂 Isn’t that giveaway fun? Love the interview. I really enjoy stories by Kimberly Rose Johnson. Interesting article and a great interview! I love vacations and would love to go San Francisco and California lighthouses. Looks like an enjoyable read. Thanks so much for sharing. I am one of those odd stay at home mom’s, but I do work too as a seamstress. I like the idea of a metal sculptor. That sounds very creative. Amy, I think it’s great that you are a stay at home mom and a seamstress. I was just saying to someone the other day how sewing has become a lost art. I’m thankful for people like you! Great post. I would suggest you come to Texas for a vacation. It is so big that there is a wide variety of things to see and do.